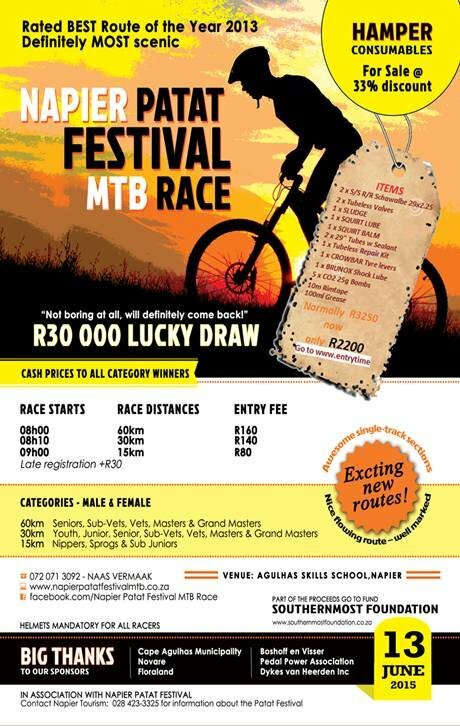 It’s that time of year again for the Patatfees MTB Race on the 13th of June! Great-Time will be recording your times! A Waterpoint and Marshall Manager has been appointed – NO need to get lost or dehydrated. Have a look at the Great Value for money-hamper being offered to all entrants. Routes lovely as usual, still beautiful scenery and challenging terrain make this a race you will remember for a long time to come! We would love to see you out there! Thanks and hope to see you again this year! A small village market where various local stallholders sell a variety of quality products and delicious foods. The Baardskeerdersbos Art Route is known as the oldest of its kind in South Africa. This time I'm the guest artist of Amanda Jephson. This property is zoned for business and located on the main road of Napier, in AN EXCELLENT POSITION as an ideal income-generating proposition. 1 Bedroom unit in popular Oude Weelde complex in central Napier to rent. Typical costs involved with buying and selling immovable property.